Domains are valid for 1 year from date of sign-up. You can choose for them to Renew automatically or not. To cancel automatic renewal go to Settings > Domain and choose the cancellation option. As a courtesy we will notify you via email before your domain renews (excludes domains purchased directly via support). However note that emails can be missed or blocked, therefore we suggest making a note on your calendar as canceling is your responsibility and domain charges are nonrefundable. For domains purchased directly via support, your domains will not renew automatically. Can I delete my Appy Account? 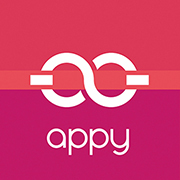 How long will my Appy account remain active?